The weather in the south of Spain is far from being ideal at these days: the air is cool, strong breeze has driven thunderous clouds today. However, the footballers never mean to take a rest, anyway. The morning session turned to be the longest and the hardest since the training camp got underway. After that, the players restored muscles at the open-air swimming pool. – At the first stage, as always, we must pull up our physical form, – tells Shakhtar midfielder Maksym Malyshev. – We run a lot, however, do not forget about playing football, working with the ball, and improving moves. In the morning, we held a long training session, however, it will just do us a lot of good, since hard loads only strengthen. The afternoon session was devoted, largely, to tactics and developing attacking moves that rounded off with a mini-tournament. Three teams played with one another a knock-out game until either of them scored a first goal, and it was Taison who drew a line to secure a victory for his team. 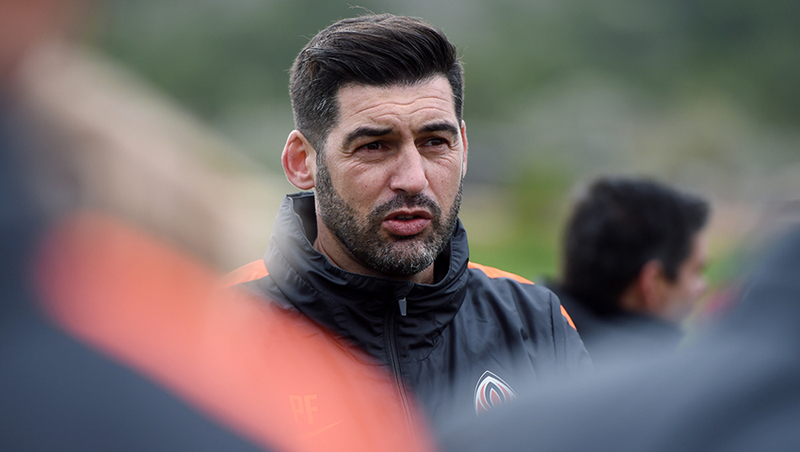 The newcomer of the Orange-and-Blacks Gustavo Blanco Leschuk joined up with the team as well, having his first training session with the Donetsk side. – I am happy to get down to training at Shakhtar, Today, I had a very nice session and feel fine, – the Pitmen’s forward Gustavo Blanco Leschuk shared his experience. – The lads have taken me welcome, in a friendly manner. I am trying to find the common ground with everyone. I am confident it is going to be easier for me day by day. Hard pre-season work will keep on tomorrow. The team are expected to have two training sessions on the pitches of the La Manga Club Centre.